The FIA have announced the finalised calendar for the 2012 Formula One season. The Turkish Grand Prix, overwhelmingly panned due to a lack of local support, has been dropped; Bahrain makes a return after political protests resulted in the cancellation of the 2011 season opener in Sakhir. The calendar will boast a record 20 races, with Formula One making a return to the United States at the new Circuit of the Americas. Important points to note are the double-headers of: Australia/Malaysia, China/Bahrain, Germany/Hungary, Belgium/Italy, Japan/Korea, India/Abu Dhabi, and USA/Brazil. India and USA have been moved to cooler climes, having originally been scheduled for the summer highs, where temperatures would have exceeded 40C. We can also see that the traditional summer break has been extended to five weeks, which with seven races in the last ten weeks will be much needed by the teams. It may also be the case that there will be a mid-season test session during this period. Testing details have yet to be confirmed, but it is expected that there will be three pre-season tests, one mid-season test, and the post-season young driver test. For the latest news, follow The Pitstraight on Twitter (click here) or like us on Facebook (click here). Alternatively, you can subscribe to our RSS feed (click here). Keep an eye out for The Pitstraight Podcast on iTunes and other podcasting software. This entry was posted in 2010s, 2012, Albert Park (Australia), Asia, Bahrain International Circuit (Bahrain), Buddh International Circuit (India), Circuit de Catalunya (Spain), Circuit de Monaco (Monaco), Circuit Gilles Villeneuve (Canada), Circuit of the Americas (USA), Circuits, Europe, Featured, Hockenheim (Germany), Hungaroring (Hungary), Interlagos (Brazil), Istanbul Park (Turkey), Korean International Circuit (South Korea), Marina Bay Circuit (Singapore), Middle East, Monza (Italy), North America, Oceania, Season, Sepang (Malaysia), Silverstone (Great Britain), South America, Spa-Francorchamps (Belgium), Suzuka (Japan), Valencia Street Circuit (Europe), Yas Marina (Abu Dhabi) and tagged Calendar, F1, Formula 1, Formula One, Motorsport, News, Racing, Sport on September 3, 2011 by Neal Brown. Williams’ Pastor Maldonado and Sam Michael guide us through the European Grand Prix. For the latest news, follow The Pitstraight on Twitter (click here); or like us on Facebook (click here). Alternatively, you can subscribe to our RSS feed (click here). Keep an eye out for The Pitstraight Podcast on iTunes and other podcasting software. This entry was posted in 2010s, 2011, Circuits, Europe, Featured, Podcasts, Season, Valencia Street Circuit (Europe), Website and tagged F1, Formula 1, Formula One, Motorsport, News, Pastor Maldonado, Podcast, Racing, Sam Michael, Sport, Valencia Street Circuit on June 22, 2011 by Neal Brown. “For me, Valencia will be a weekend of consolidation after two disappointing results in Monaco and Canada. Those two races were particularly frustrating for me because we showed we had the pace to win both of them, yet I only came away with eight points. “Still, I’m really pleased that Jenson drove a brilliant race to win in Canada; after his bad luck in Monte-Carlo, he more than deserved this result. It’s a great result for the team, too. “I’ve always gone well at Valencia, finishing second there in every race, and I really enjoy attacking the track. It’s a difficult circuit with no let-up, but that won’t deter me as I’m really keen to get back on track and get back in the points. This race will be our third street circuit in a row, so hopefully it’ll give me the chance to reverse the bad luck I’ve encountered in the previous two! “We’ve arguably had the fastest race car in the last three races, and that’s really encouraging because I know that, when it’s put to best use, I should be able to finish at the front. “It’s been a fantastic week in the aftermath of the Canadian Grand Prix. I had a few days’ break immediately after the race, which was perfectly timed as it gave me the opportunity to take in all the positive memories of a crazy weekend, and to reflect on an incredible race. “I wouldn’t say that winning in Montreal has given me extra motivation, because I was already totally committed, but I think it will help to sharpen the focus and conviction of everyone in the team. We’ve proved we can challenge and beat Sebastian [Vettel], and we know we can fight for this world championship. 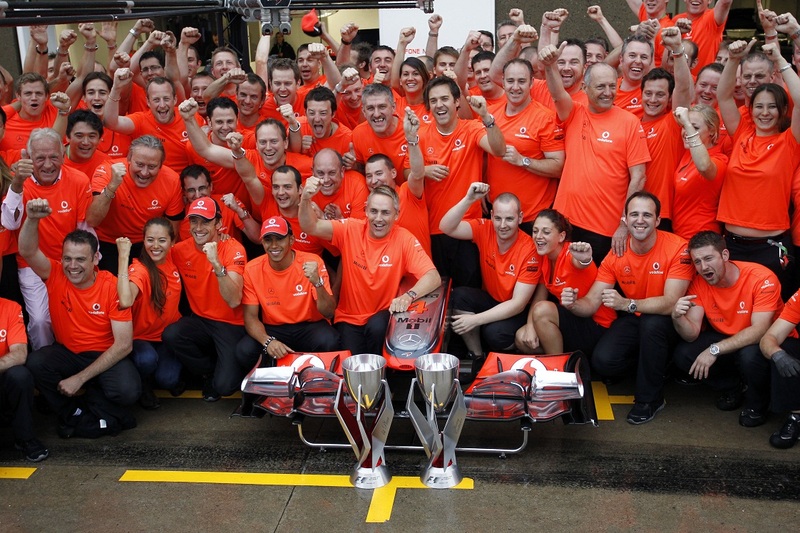 “Jenson’s fantastic last-to-first result in Canada last weekend proved beyond doubt that, as a team, we never give up. That victory was a great fillip for the entire organisation and shows that our tireless efforts to bring constant upgrades to the track are really paying off. “As a team, it’s particularly satisfying that our upgrade ‘hit-rate’ has been successful and that we’ve really been able to translate the results we’ve seen at the factory into concrete performance at the track. Again, that’s the result of good teamwork, and is what will successfully carry us through this championship fight. “We’ve typically gone well around the Valencia street circuit but we’ve never won there before. I think we go into the weekend feeling encouraged and motivated by our performance, but still realistic that Red Bull remains the pacesetter – particularly in qualifying. “We’re now into the heart of the season and need to ensure that we’re regularly delivering performance to the car. We’ve shown time and time again that this is one of Vodafone McLaren Mercedes’ key strengths and I’m confident we can continue to deliver. For Valencia and beyond, our aim is clear: we want to win. For the latest news, follow The Pitstraight on Twitter (click here); or like us on Facebook (click here). Alternatively, you can subscribe to our RSS feed (click here). This entry was posted in 2010s, 2011, Circuit de Monaco (Monaco), Circuit Gilles Villeneuve (Canada), Circuits, Europe, Featured, North America, Season, Valencia Street Circuit (Europe) and tagged Canada, Circuit Gilles Villeneuve, F1, Formula 1, Formula One, Jenson Button, Lewis Hamilton, Martin Whitmarsh, McLaren on June 21, 2011 by Neal Brown. Spain is the only country in the world to have two Grands Prix; Barcelona is the first and Valencia the second, under the auspices of the European Grand Prix. 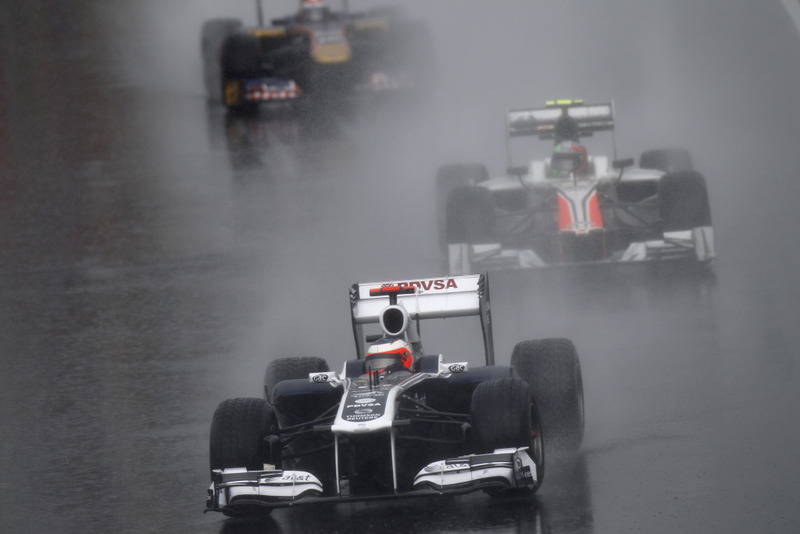 The race joined the F1 calendar in August 2008, since when it has moved to a June date in search of cooler weather. The 5.419km circuit weaves its way around the city’s America’s Cup port and is made up of 25 corners, which is more than any other track. For a street circuit, it has a relatively high average speed (196kmh), mainly due to four long straights, yet the walls remain as close as on any other circuit. Williams driver Rubens Barrichello won this race in 2009. Typically the grip level is low at Valencia as it’s a street circuit that takes some time to rubber up. The Pirelli tyres performed exceptionally in Monaco though, so we don’t expect anything less here. Set-up is geared for slow speed corner grip, but there is also a fantastic high speed section through Sector Three. We have some further upgrades to our diffuser and our target is to be in the points with both our cars. Valencia is very important to me. It was there that I won my first race in 2009 and it was also the 100th GP win for Brazil, so it was very special. It is a very long circuit with lots of corners so you need the car set-up for good traction. I love this race track. The final part of the circuit has some high speed corners which makes the circuit feel very complete. I first raced on the Valencia Street Circuit in 2008 in a Dodge Viper Coupé GT3 and finished second. I entered the European GT race as I wanted to learn the track ahead of the GP2 event that year, which I also went on to finish second in, before winning there in 2010. The track is very similar to Montréal with long straights, slow corners and walls very close to the track. My favourite part is in the final section, when you brake into the last corner just before the pit entry. The weather in that part of Spain is fantastic and I guess the place will be full of Venezuelan fans so that will make it a great weekend for me. The characteristics of the Valencia street circuit are in stark contrast to Formula One’s other fully-fledged street tracks at Monaco and Singapore with much higher average and top speeds, which place notable demands on power units. The track has the highest number of corners of any track on the calendar – 25 in total – with nine relatively slow corners which have similar apex speeds, putting a real emphasis on low-speed driveability. Cosworth has good memories from last year’s European Grand Prix after a competitive performance for the Williams-Cosworth package and a strong drive by Rubens to fourth place. In Spain our PZero White medium tyre will make its competition debut as the prime tyre with the PZero Yellow soft as the option. The last two street races at Monaco and Canada provided a really thrilling finish and we’re hoping that this will be the case again in Valencia, giving AT&T Williams the opportunity to score more points through both pace and strategy. This entry was posted in 2010s, 2011, Circuits, Europe, Featured, Season, Valencia Street Circuit (Europe) and tagged Cosworth, Europe, F1, Formula 1, Formula One, Pastor Maldonado, Pirelli, Rubens Barrichello, Valencia on June 20, 2011 by Neal Brown.